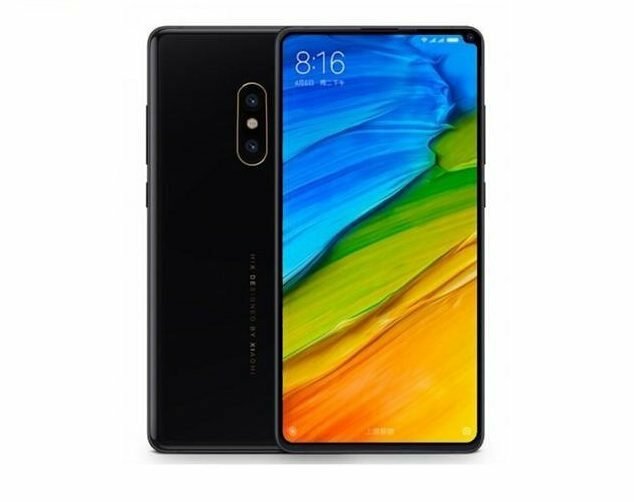 A leaked photo of an upgraded version of Xiaomi’s Mix 2 has been leaked on China’s leading microblogging site Weibo. The new Xiaomi Mi Mix 2S sports the latest Snapdragon 845 processor. This is the same processor that will power most new high-end phones this year except for Huawei and Samsung. Xiaomi launched the innovative Mix phone in October 2016. The second generation Mi Mix 2 followed in September 2017 and received raving reviews. The upgraded Xiaomi Mi Mix 2S model builds on the successful Mix 2 and the new technologies that it enables. For example, the fingerprint sensor is located below the screen, which allows Xiaomi to further increase the screen-to-surface ratio. The 5.99-inch display sports full-HD, which implies a resolution of 2,160 x 1,080 px. The phone employs a high-capacity battery of 3,400 mAh. The dual-rear cameras feature built-in AI features similar to Huawei Mate 10. Furthermore, technical analysis of the distributed binary files shows that the camera sports the Sony IMX363 image sensor. The upgraded version will launch at the Mobile World Congress in Barcelona at the end of February. We expect Mi 2S to cost around $1,030 inclusive of GST in New Zealand based on Mi 2’s pricing.